As the holiday season approaches, it’s time to start looking at your budget and figuring out how you’re going to buy everything you need without breaking the bank. 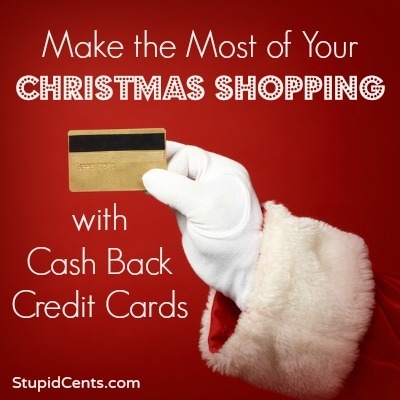 One of the best ways to make the most of your Christmas shopping is to use cash back credit cards. It seems counterintuitive to use credit cards for a major holiday spending spree. Instead, many consumers suggest that you save up, make a budget, and then pay with cash. However, when you follow this plan, you end up missing out on some of the great perks that come with rewards credit cards, particularly cash back cards. It’s important to understand, though, that using credit cards for your Christmas shopping isn’t a license to overspend and rack up the debt. You should still save up money throughout the year, and create a budget for your holiday shopping. Instead of paying with cash or debit, though, you should pay with your rewards credit card. Look online to compare credit cards and get the best cash back card for you. It makes sense to start researching this information now so that you can get the best card for your situation. Using a cash back credit card for holiday shopping provides you with a way to offset some of your costs. First of all, you get the cash back. Since you’re making purchases that you would have made anyway (if you plan your holiday spending ahead of time), getting cash back is gravy. On top of that, if you choose a cash back credit card with a signup bonus, you can actually use the money you receive for your Christmas shopping. In most cases, you are required to spend a certain amount of money on your card before you receive the cash back bonus. If you decide to use your Christmas shopping as a way to meet your minimum requirement, all the better. You might not have the signup bonus in time for your actual holiday shopping, but you might be able to get a little extra unexpected cash with the signup bonus. The key, though, is to only spend what you had originally planned. Realize that if you carry a balance on your credit card, the interest that you end up paying will likely negate your cash rewards. In order for your cash back credit card to be a useful part of your holiday shopping plan, you need to stay within your budget and make sure that you have enough money to pay off your balance before you owe interest. Depending on the program you choose, you might actually be able to apply your rewards toward your balance directly, reducing what you need to pay out of your checking account. This leaves more money available for you, and it also means that your Christmas shopping isn’t as devastating to your budget as you might have expected.